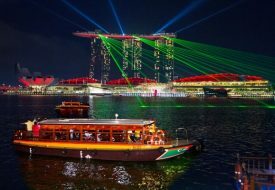 The popular i Light Marina Bay festival returns this year from 28 January to 24 February, and it’s the biggest one yet. In addition to the Marina Bay promenade, the sustainable light art festival is also lighting up the Civic District, the Singapore River area, and Raffles Terrace at Fort Canning Park, the expansion thus reflected in the slightly modified name, “i Light Singapore.” Taking place 200 years after Sir Stamford Raffles arrived on our island, this seventh edition of the festival is also a special bicentennial edition. 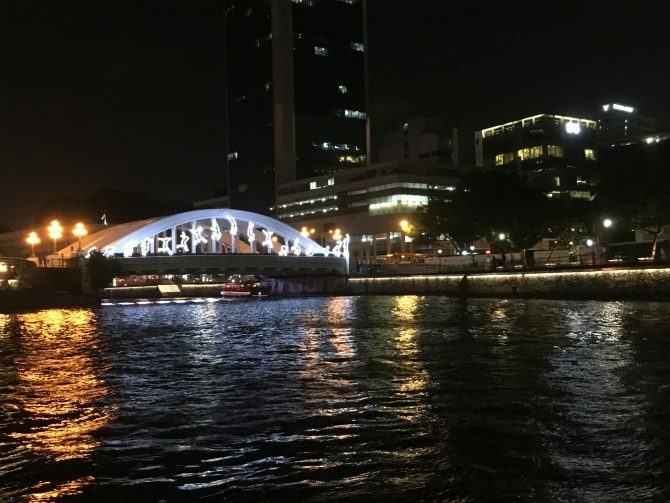 Visitors can look forward to a total of 33 exciting artworks – 32 light art installations and a huge multimedia show (at the Singapore River) – most of them telling a story of Singapore’s history, evolution and future. What also makes this year’s i Light Singapore bigger are the newly introduced fun and interactive programs, from yoga under the glow of a light installation to movie screenings. After previewing several of the light art installations, we think this edition of i Light Singapore is a magical one you should not miss! 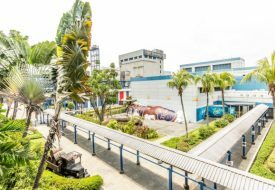 As you explore the artworks, be sure to check out these beautiful and innovative installations that add a touch of magic to our historic landmarks. Watch a person take a long jump across the arch of Elgin Bridge! Imagine it’s a big leap you’ve taken or are about to take in your life; think of how impossible, like this very long jump, it feels. This figure’s feat reminds us of how amazing and freeing it is to open up our minds to new possibilities. Created by Italian artist Angelo Bonello, this work has been exhibited in several art festivals worldwide, from Amsterdam to Washington, DC.